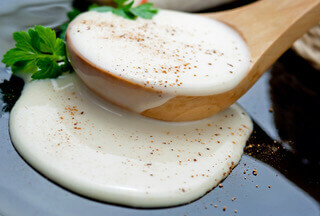 Soups and sauces are produced in similar ways and there are a number of ways to vary the flavour and textures of both. One of the simplest ways of cooking, soups are often made by boiling the remaining bones of a meat dish and then adding root vegetables and herbs for extra flavour. Alternatively vegetables alone are used. Modern soups and sauces are increasingly fresh and inspired by international and regional flavours. The ‘staple’ tin of soup also remains very popular. Whether fresh or retorted, both can present different challenges. Ready made Sauces have become hugely popular with time-poor families who want flavoursome easy to prepare meal solutions. Like Soups, there are many different international tastes and flavours on offer.